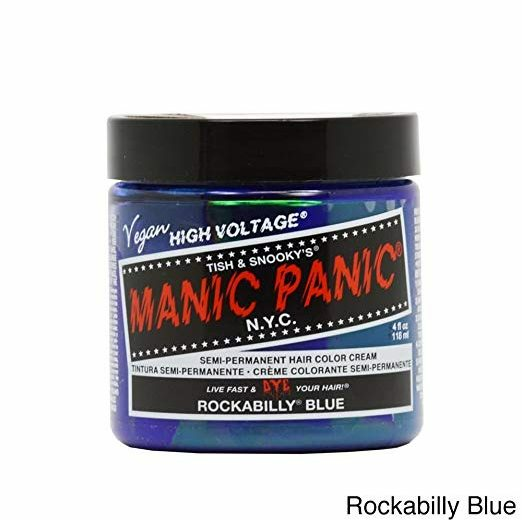 Manic panic rockabilly blue is a hair dye that is a vegan-friendly, animal cruelty-free and gentle on your hair. Manic panic colors are available in 46 colors! That is not counting the numerous colors you can create on your own by adding their pastel cream or by mixing colors of your choosing to create out of this world colors no has but you! What is Manic Panic Rockabilly Blue? 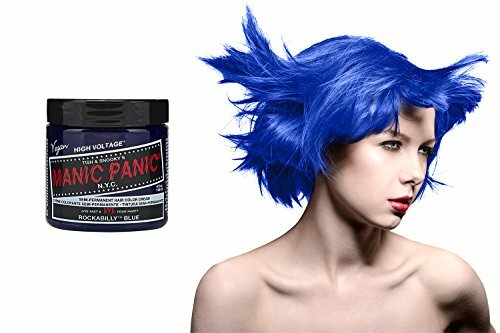 Manic Panic rockabilly blue is a semi-permanent hair dye that lasts 4 to 6 weeks. Manic Panic colors allow you to explore with having different hair colors while not having to worry about damaging your hair. Manic panic rockabilly blue works best on hair that is naturally blonde, or that has been lightened or bleached to a blonde color. a household name, consumed by generation after generation of rebellious teenagers. Manic Panic was one of the very first hair dye companies to use vegan ingredients. Manic panic also never tests on animals. Their go-to slogan is “We test on Celebrities, never Animals!” and they have stuck by that promise over the years. Manic panic rockabilly blue differ from other hair dyes in that they are ready to use, right out of the bottle and it smells wonderful! There is no mixing harsh chemicals, peroxide or anything else to dye your hair. Manic panic rockabilly blue can give you numerous options. Whether you want to dye your hair every color of the rainbow, or you’re more of a pastel blue kind of person, manic panic rockabilly blue will let your freedom shine through. You can let your creativity flow and make your hair the envy of everyone you know! Manic panic rockabilly blue won’t damage your hair at all, so you can feel free to change up your style every few weeks if you’d like! Wash hair with clarifying shampoo and dry with a blow dryer. Make sure hair is completely dry. Do not use conditioner or oils. Comb hair and part into four sections, clip each section up with clip or bobby pins. Once the dye is completely saturated into your hair, wrap your hair up in a bun, and put a shower cap or even a plastic bag or plastic wrap on your hair. Directions say to let the dye sit in hair 30 minutes to an hour. Many reviewers state that they have much better results by allowing the dye to set for a few hours to overnight. With manic panic colors hair dye, you don’t have to worry about damage. Rinse hair with cold water only! Do not wash for at least 3 days but a week is much better. Remember, the less you wash, the less fading you will see. Manic Panic rockabilly blue hair dye comes in 4-oz jars of ready-to-use hair dye. No extra steps are required to use the dye. The only recommendation is if you have dark hair, then it is best to lighten or bleach your hair before applying the hair dye. 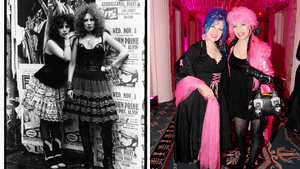 Brown or Black hair does not grab onto the manic panic rockabilly blue hair dye as bleached hair does. Manic Panic hair dyes can be purchased for about 11-13 dollars depending on whether you buy the original formula or the amplified formula. Manic panic colors can be bought online at Amazon, and in stores like Ulta, Target, Walmart and your local drug stores. Manic Panic hair dyes are super simple to use. They come ready to go in a 4oz. jar and require no further preparation. Manic Panic hair dyes are a semi-permanent option that will last anywhere from 4 to 6 weeks depending on your hair care routine. Manic panic is a vegan, animal cruelty-free company that you can trust knowing you're choosing an option that is safe both for the planet and your body. Manic panic has excellent customer service including a message option on their webpage, an FAQ and a tips and techniques page on their website. They also showcase customers hair photos as inspiration to other people thinking about trying out their hair dye. 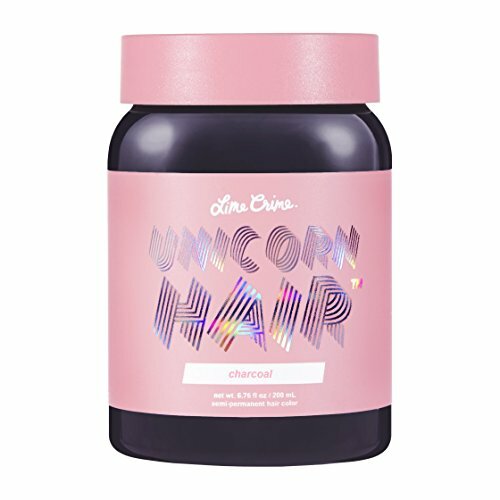 Unicorn Hair by Lime Crime is another vegan-friendly hair dye that is available in multiple colors. Unicorn Hair is available in full coverage dyes, or tints depending on what type of color you would like your hair to be. Unicorn Hair full coverage is a great option if you want a color that really gives a punch! The full coverage line comes in 16 beautiful colors that can be used on their own or mixed into your own favorite shades. Unicorn Hair dye prides themselves in being a vegan company that is also Leaping Bunny Certified Animal Cruelty-Free. You can feel great knowing you're using a product that is safe for you, the planet and animals. This hair dye is ready-to-use straight from the bottle. It works best on lightened or bleached hair. Unicorn hair dye lasts the standard 4-6 weeks. One nice thing is that it fades from vibrant to pastel instead of changing colors like other brands. Vegan and Animal cruelty-free certifications are important to a lot of people. This company provides both, so you know that using their hair dye is both friendly to you and the planet. Unicorn Hair dye has an instant chat message feature on their website as well as a frequently asked questions page on their website. They also provide tips and techniques as well as a customer service phone number for their customers. Lunatik hair dye is a vegan hair dye that is available in 5 colors on their website. At this time, however, Amazon is only offering two colors…red and purple. We thought since we are providing an Amazon link that it was important to let our readers know. Lunatik hair dye is said to be a long lasting semi-permanent hair dye. Reviewers have said that this super pigmented hair dye can even dye some people’s hair without bleaching or lightening. The hair dye tends to last 8-12 weeks or more depending on hair care. Lunatik comes in a 4oz. bottle and is said to spread very well. 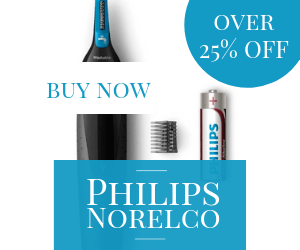 Most people, unless you have long or very thick hair can get away with one bottle. Lunatik hair dye last 8-12 weeks or longer depending on hair care. Like the other semi-permanent hair dyes, Lunatik recommends lightening or bleaching hair for best results. Reviewers are happy with the quality and especially the pigment of the Lunatik hair dyes. The only thing everyone cautions about is the staining! Be very cautious! Lunatik has excellent customer service and has a Q&A on their website where they answer customer questions and give tips and techniques. 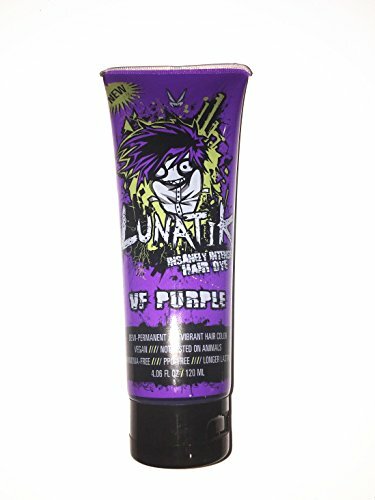 You can purchase Lunatik hair dye for approximately $13 on Amazon or through the companies website. Arctic Fox contains added non-GMO protein conditioners, and they have zero ammonia and peroxide. Arctic Fox is available in 14 colors that are all long lasting and super bright colors. Arctic Fox is not made with any animal byproducts, and they also donate 15% of each sale to charities that are important to them as a company. Reviewers and you tubers all rave over Arctic Fox. It is known for being an easy to use, long lasting hair dye that packs a punch when it comes to color. Reviewers have almost nothing bad to say about Arctic Fox hair dye, except that it is a bit on the pricey side. If you’re looking for incredible pops of color with a hair dye you know is a conscientious choice for the environment and your body, then Arctic Fox hair dye is the choice for you. Arctic Fox also helps fight animal abuse by donating to several charities with each purchase you make from them. Not only are you getting great hair colors, but your helping to fight an important cause! Artic Fox comes in a ready-to-use bottle. No other preparation is needed. Arctic Fox hair dye will work best on hair that has been lightened or bleached to a blonde or lighter color. Arctic Fox hair dye is one of the best semi-permanent dyes available on the market. With the proper care, this hair dye can last 6 weeks plus for most people without a lot of fading or bleeding! Arctic Fox hair dye is vegan, chemical free, and animal cruelty-free meaning you can feel good knowing you are using a hair dye that is both good for the earth and your body. Arctic Fox customer service is fantastic. They have an instant chat feature on their website for all your questions. They also feature customers on their webpage instead of models. You can purchase Arctic Fox for approximately $8-10. 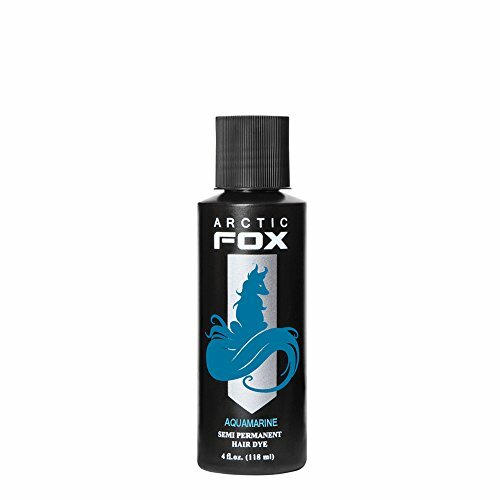 Arctic Fox hair dye is available through Amazon, Hot Topic, the company website, and select salons. Based on the reviews we did today, if you are looking for a simple, economical amazing blue hair dye, that is readily available then, by all means, manic panic comes out at number 1! If you're the type that wants to change their hair color often and doesn't mind fast fading, then manic panic is going to be your new best friend. If you're looking for a hair dye with a longer life of vibrancy, then try Arctic Fox. For the price and the amazing color, it is a great runner-up. Some reviewers actually prefer Arctic Fox over Manic Panic because they don't have to dye their hair as often. The choice is up to you, which brand gets your number one vote?